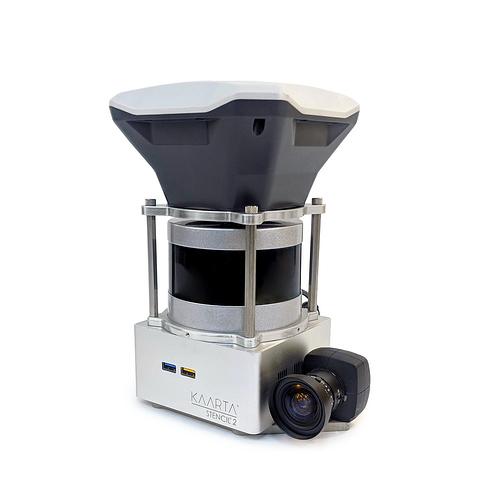 Reach RS+ is integrated with the new hand-held 3D mapping platform Stencil 2 from Kaarta. 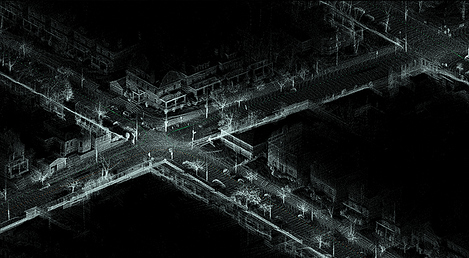 Stencil 2 is a stand-alone system with 3D Lidar and IMU that uses algorithms developed by Kaarta to scan and generate 3D maps in real-time. The platform allows mapping exterior and large interior spaces. Stencil 2 records GNSS data to geolocate datasets and this is where Reach RS+ steps in. Positional data from Reach is fed to Stencil 2 and enables higher mapping accuracy correcting for drift and further improving the fidelity of large area scans. At Intergeo 2018, Kevin Dowling, CEO of Kaarta, was speaking about Stencil 2 at Emlid booth, check the presentation to learn more! Great! Like I don’t spend enough money already. Any idea of the Stencil 2 cost? The Stencil mobile mapping system is Kaarta’s flagship product for large interior spaces and outdoor mapping without the use of GPS or other infrastructure. Stencil features a 300,000 pps lidar with a range of 100m in combination with a 200Hz IMU and feature tracking camera to accurately produce 3D maps in exterior and large interior spaces such as parks, forests, stadiums, and airports. Stencil includes software for Baseline and Detail Modeling, Feature Tracker, VLP-16, iPad display, Year 1 software maintenance and upgrades, and one year hardware warranty for USD 48,900 (ex-works Kaarta’s facility in Pittsburgh, PA). Please note that listed pricing is EXW and is not inclusive of any shipping charges, duties, or tax. Terrestrial laser scanning is not a good choice for ground modeling. Because of the low angle of attack you cannot get definite points associated with small grade-breaks. topcon has had this functionality for about 3 years now. You’re better off flying a drone and then capturing the vertical structures with the laser scanning.